In the untamed jungles of rural Cambodia, Asia, wild sun bears and Asiatic black (moon) bears were once a common sight. But rapid loss of habitat, illegal wildlife trade and poaching for traditional medical purposes or food, have reduced their wild populations to all but nothing. 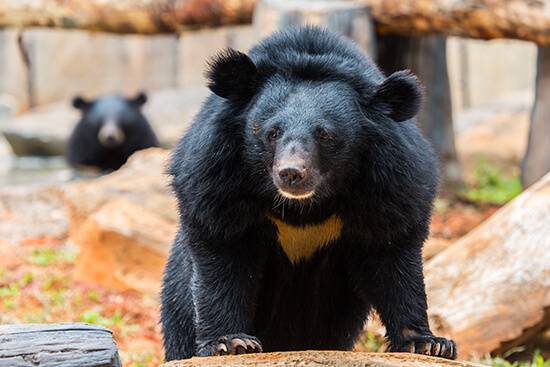 While it is occasionally possible to spot a sun bear while trekking deep in the northern forested regions, the Asiatic black bear hasn’t been documented in the wild for years. 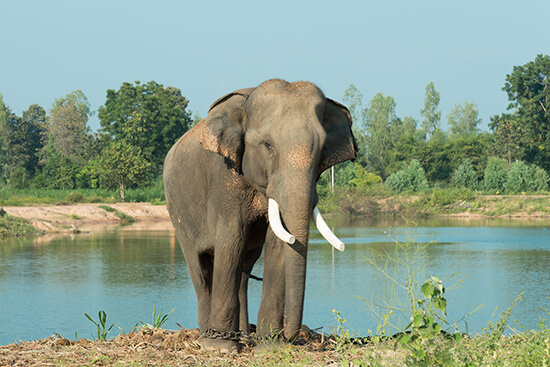 That’s where the Phnom Tamao Wildlife Rescue Centre – just 25 miles from Phnom Penh – comes in. Supported by ‘Free the Bears’, an organisation that fundraises for bear conservation and rescue projects, Cambodia’s largest zoo protects over 6,000 acres of regenerating forest and provides a sanctuary for rescued animals. These bears are cared for, nursed back to full health and, where possible, rehabilitated for release back into a remote part of their wild habitat. But the best part? You can sign up to become a bear keeper for the day. Every childhood fantasy of being a zookeeper and caring for exotic and exciting creatures can be fulfilled; first you just need to book a flight to Cambodia and spend some time in the capital city, Phnom Penh. The day starts with an early morning journey to the wildlife rescue sanctuary where you’re given the chance to help the keepers prepare enrichment toys and treats for the bears. Stuff ripe bananas and carrots into hollow tubes of bamboo or plastic balls covered in scratch marks from the bears’ previous attempts to get to the fruity goodness inside. You’re allowed into the enclosure (when the bears aren’t around of course) to hide the grub amongst the trees with the keepers – this encourages the bears to search for their food like they would have to do in the wild, keeping the minds and natural instincts sharp. The bears are natural climbers, so position food up in the low branches of nearby trees to ensure they actively strengthen and develop their climbing skills. The team are on hand to educate you about the projects that Free the Bears are working on and will also take you around the rest of the wildlife centre to show you the Asian elephants, tigers, monkeys and 100+ other species of animal that have been rescued or donated and brought to the sanctuary. Watching the lumbering, gentle bundles of dark brown fur exploring their forest enclosure, it can be hard to believe that people are to blame for wiping out almost their entire native population. Perhaps then the most memorable part of the whole experience, or even the most satisfying, is knowing that simply by having a great day and supporting the foundation you’ve directly helped improve the lives of the bears in front of you, enabling the staff at the sanctuary to continue to try and forge a better life for Cambodia’s wild bear populations. Follow this writer's journey on our tailor-made Cambodia Explorer holiday, which visits Phnom Penh, Sihanoukville and Siem Reap. Speak to one of our Travel Experts about organising your bear keeper experience.